Congress president Rahul Gandhi's election affidavit says he doesn't own a car. 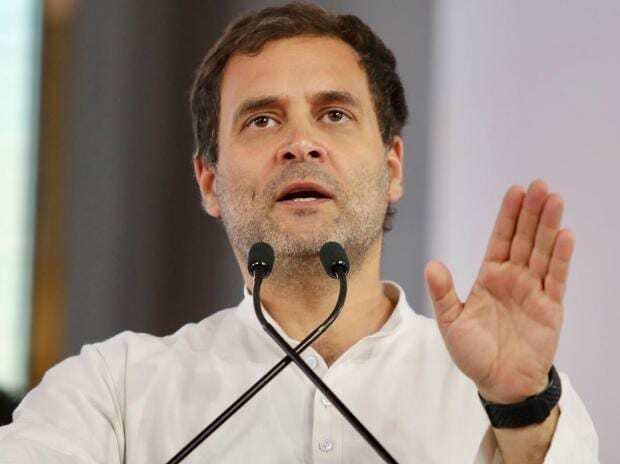 Congress president Rahul Gandhi has assets worth over Rs 15.88 crore, according to an affidavit filed by him on Thursday in his nomination papers for the Wayanad Lok Sabha seat. Gandhi had declared assets worth Rs 9.4 crore in the 2014 elections. His latest affidavit said he does not own a car and has a total liability of Rs 72 lakh as loans from banks and other financial institutions. Gandhi has declared movable assets worth Rs 5,80,58,799 and immovable assets worth Rs 10,08,18,284, with his total assets being worth Rs 15,88,77,083. Gandhi, who is also contesting from Amethi seat, has declared in his affidavit that there were five cases pending against him. The affidavit shows that Gandhi does not own a car and as an SPG protectee he is required to travel in an SPG vehicle for security reasons.